Dr. Artiles is Associate Dean of Academic Affairs and the Ryan C. Harris Professor of Special Education at Arizona State University’s Mary Lou Fulton Teachers College. He is an affiliated faculty in the ASU School of Transborder Studies and the School of Social Transformation. His scholarship focuses on understanding and addressing educational inequities related to the intersections of disability with sociocultural differences. He directs the Equity Alliance, co-edits the International Multilingual Research Journal (Taylor & Francis) and Teacher College Press’ book series Disability, Culture, & Equity. Dr. Artiles was Vice President of the American Educational Research Association (AERA) (2009-2011), is an AERA Fellow, a Spencer Foundation/National Academy of Education Postdoctoral Fellow (1998-2000), and a 2008-09 Resident Fellow at the Center for Advanced Study in the Behavioral Sciences (Stanford University). He received the 2012 Palmer O. Johnson Award from AERA. 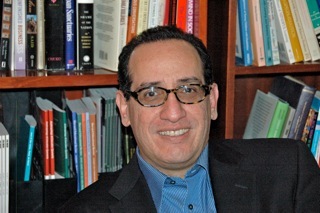 Dr. Artiles has held visiting professorships at Leibniz University (Germany), the University of Göteborgs (Sweden), University of Birmingham (UK), and Universidad Rafael Landívar (Guatemala). He is a Commissioner in President Obama’s Advisory Commission on Educational Excellence for Hispanics. He was named 2009 Distinguished Alumnus by the University of Virginia’s Curry School of Education Foundation. His latest book is titled Inclusive education: Examining equity on five continents and was published by Harvard Education Press (2011, with Kozleski & Waitoller). Artiles, A. J. (2013). Untangling the racialization of disabilities: An intersectionality critique across disability models. DuBois Review, 10, 329-347. Waitoller, F., & Artiles, A. J. (2013). A decade of professional development research for inclusive education: A literature review and notes for a sociocultural research program. Review of Educational Research, 83, 319-356. Artiles, A. J. (2011). Toward an interdisciplinary understanding of educational equity and difference: The case of the racialization of ability. Educational Researcher, 40, 431-445. Artiles, A. J., King Thorius, K., Bal, A., Neal, R., Waitoller, F., & Hernandez Saca, D. (2011). Beyond culture as group traits: Future learning disabilities ontology, epistemology, and inquiry on research knowledge use. Learning Disability Quarterly, 34, 167-179. Artiles, A. J., Waitoller, F., & Neal, R. (2011). Grappling with the intersection of language and ability differences: Equity issues for Chicano/Latino students in special education. In R.R. Valencia (Ed. ), Chicano school failure and success: Past, present, and future (3rd ed.) (pp. 213-234). London: Routledge/Falmer. Artiles, A. J., & Kozleski, E. B. (2010). What counts as Response and Intervention in RTI? A sociocultural analysis. Psicothema, 22, 949-954. Artiles, A, J., Bal, A., & King-Thorius, K. (2010). Back to the future: A critique of Response to Intervention’s social justice views. Theory into Practice, 49, 250-257. Waitoller, F., Artiles, A. J., & Cheney, D. (2010). The miner’s canary: A review of overrepresentation research and explanations. The Journal of Special Education, 44, 29-49. Artiles, A. J., Kozleski, E., Trent, S., Osher, D., & Ortiz, A. (2010). Justifying and explaining disproportionality, 1968-2008: A critique of underlying views of culture. Exceptional Children, 76, 279-299. Arzubiaga, A., Artiles, A.J., King, K., & Harris-Murri, N. (2008). Beyond research on cultural minorities: Challenges and implications of research as situated cultural practice. Exceptional Children, 74, 309-327. Artiles, A. J. (2003). Special education’s changing identity: Paradoxes and dilemmas in views of culture and space. Harvard Educational Review, 73, 164-202. Artiles, A.J. (1998). The dilemma of difference: Enriching the disproportionality discourse with theory and context. The Journal of Special Education, 32, 32-36.